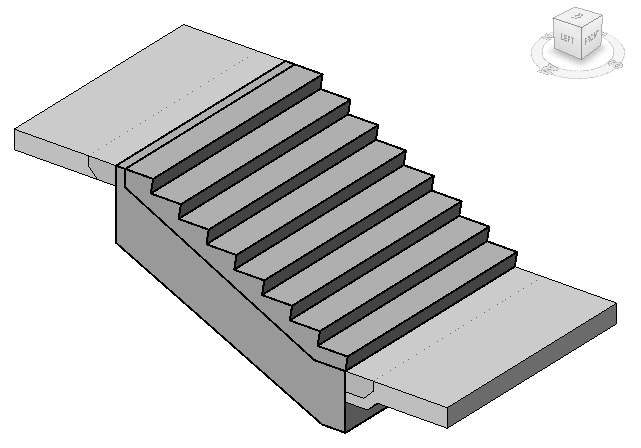 The Stair tool works well for modeling the visible portion of a stair. 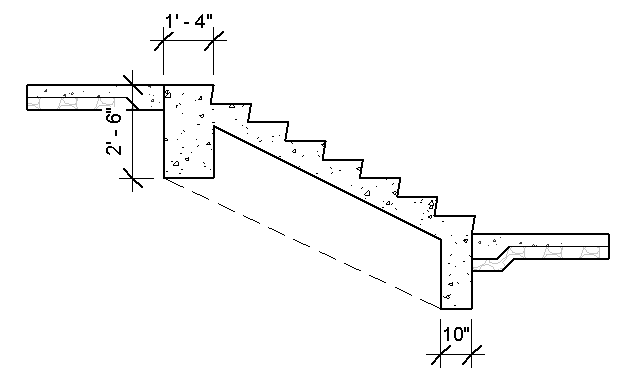 But what about the structural part of the stair below grade? Stairs in the landscape are frequently cast-in-place concrete stairs. 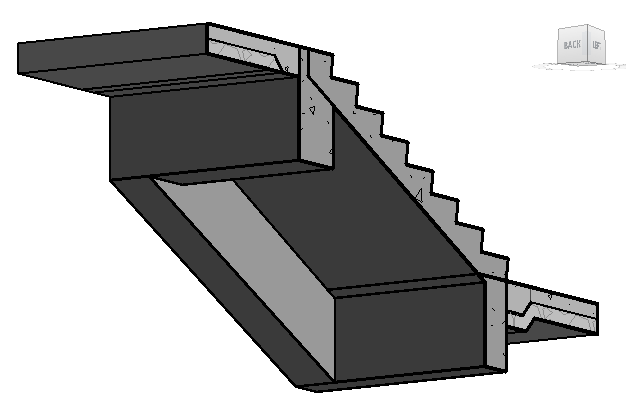 They typically extend below grade at both the top and the bottom of the stair. 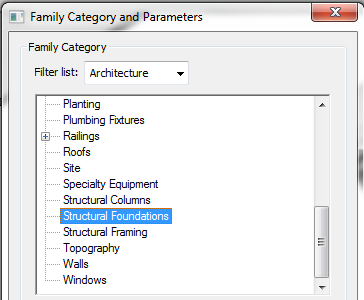 And though not everyone needs to model the structure of their stairs, with more Revit models being handed off into the construction process it will likely become more common. 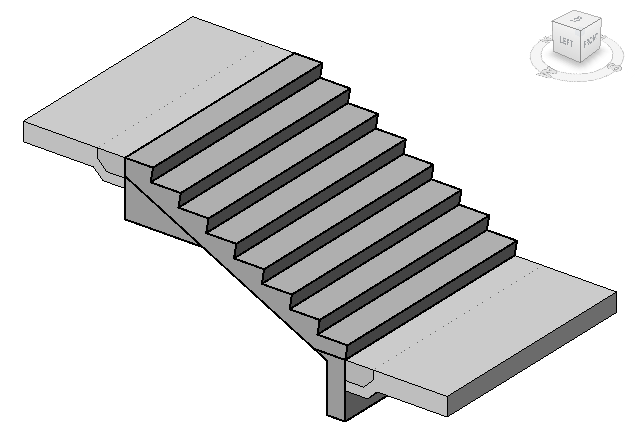 To model the structure of a stair, I first looked at using Structural Beams. Beams proved to be rather tricky to use and also did not like to stay hosted to the Stair. They also tended to give joining errors constantly, which quickly became annoying. So I switched to Modeling In-Place. Apparently Stairs is not an option for In-Place Components, so I opted for Structural Foundations. 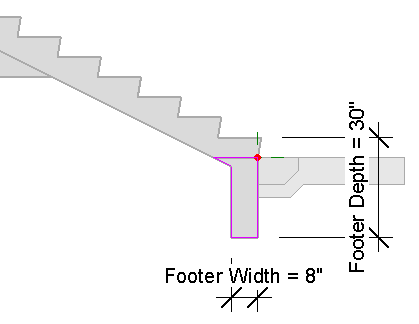 There are several benefits to using an In-Place Component, but mainly the sweeps will stay attached to the stair if moved and the profiles can be parametric (and constrained to the tops of risers). Here is the end result. It’s fairly simple but also effective. And it looks nice with a Floor and a couple of Slab Edges. I also created a Stair with some side beams. I did not model any gravel or stone beneath the Stair, but it could easily be done with another sweep or two. 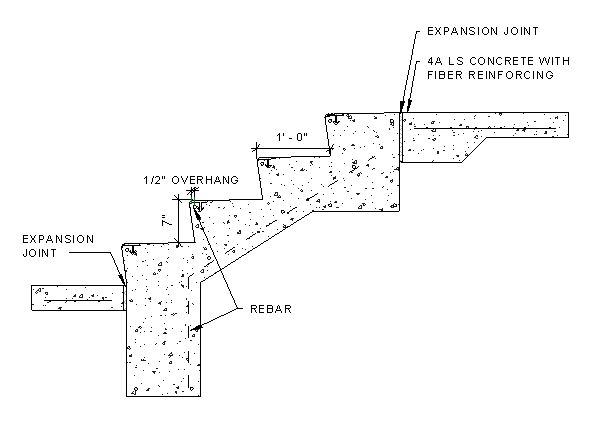 Off-topic slightly, but I’m curious to know how the gravel bed under the slab on grade is modeled. How did you get it to follow the slab edge? The gravel bed under the Slab Edge is another Slab Edge that has been joined to the Floor. It does not follow the Slab Edge, rather its Profile is set up to match the Profile above.